Happy Valley Commercial Plumbing Services - Vanguard Plumbing LLC. Property Managers and Business Owners: get fast, dependable commercial plumbing services when you call (503) 966-2566. An unexpected plumbing problem can cause a major interruption in your business and force you to turn away customers. The last thing you want is for leaking pipes or an overflowing toilet to make you shut your doors. 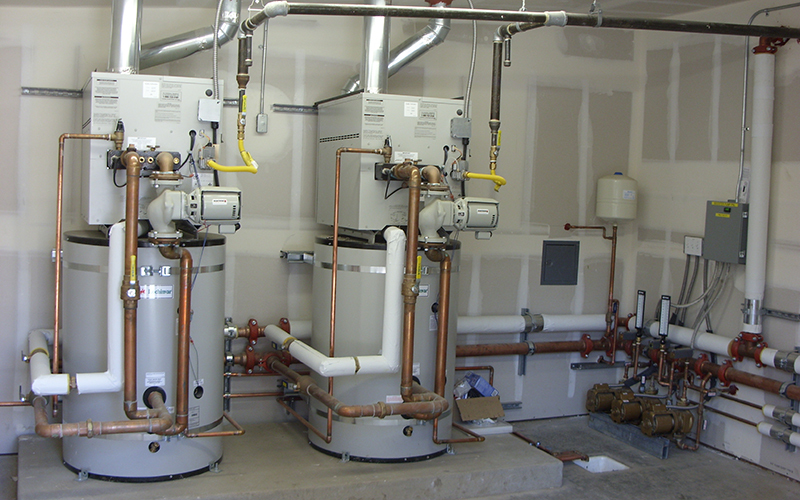 Call your local Happy Valley commercial plumber for professional solutions. You can rely on Vanguard Plumbing, LLC. to help solve all your toughest plumbing problems. We know how stressful it can be, which is why we do our best to make the process as stress free as possible. We offer upfront pricing, so there is no guesswork, or unwanted surprises at the end. We tailor our solution to your individual situation and budget. If you are having plumbing issues, call Vanguard to you back in business. 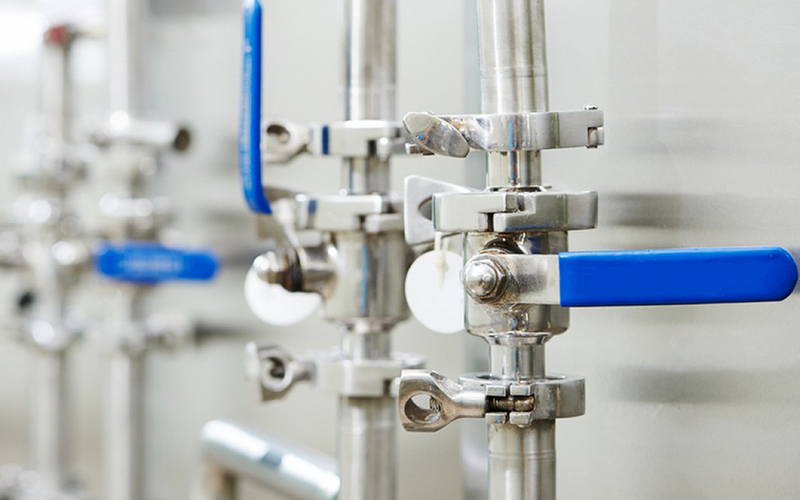 Plumbing maintenance is another important aspect of the commercial plumber’s job. Some of the maintenance services typically provided by commercial plumbers include addressing drain stoppages and repairing burst pipes or broken water or sewer lines. Food service establishments, for instance, often experience grease-blocked drainage systems. A plumber would be needed to clear greasy drains or install special traps to prevent similar blockages. Recurring clogs should be dealt with as soon as possible to eliminate the clog permanently. Slow drains indicate a variety of problems, including the early stages of a clog, narrowed pipes as a result of mineral or grease buildup, or improper grading of your drainage system. A drain cleaning professional would quickly pinpoint the source of the problem and correct it. A case of multiple clogged drains is an indication that there is a clog somewhere in your main drain system that cannot be reached without commercial drain cleaning equipment. Persistent sewer odors from your drains are indicative of a major drainage issue that requires professional drain cleaning to reach deep into the system to eliminate the clog. If you tend to “let the boiler slide” for months or years without a proper checkup, you are not alone. This is a common problem, even among trade professionals. In the past, especially with early generation atmospheric gas boilers, this was not problematic because the equipment was designed to go for a long time without maintenance. However, Boiler Codes today specify that commercial boilers must be checked at least once a year by a licensed boiler contractor. In fact, with the higher efficiency equipment in use today, boiler maintenance may need to be carried out two or more times each year. One of the most important steps for maintaining your boiler is to keep it clean. Boiler cleaning must be performed by a reliable company with skilled personnel and proper equipment. The fire tubes should especially be free of soot, which acts as a type of insulation that reduces the efficiency of heat transfer to the water being boiled. This translates to wasted energy and higher fuel bills. Note that soot also corrodes the boiler tubes. If you have already been giving your boiler a good workout, it is important to know the telltale signs of a heating system that needs boiler repair. An obvious problem would be when the boiler fails to produce adequate heat or any heat at all, which could lead to overheating. A strong metallic smell coming from your boiler should also be checked as it could be the result of gas or oil leaking from a defective boiler. Unusual or clunking noises coming from your boiler could be the result of iron deposits creating an unequal distribution of water that can cause overheating or boiler failure. If your boiler is leaking or you notice water gathering at the stand of the unit, it will end up guzzling more fuel that it normally requires, translating to higher utility bills. It may be time to replace your boiler if it has become inefficient, increasingly unreliable or costs a lot to repair. Installing a new unit is one of the largest expenses business owners have to face, which is why it is important to get it right. It is therefore important to have the boiler installation done by experienced professionals; it will be done right and you will not need to worry about unnecessary boiler-related expenses for a couple of years afterwards.